Cybersecurity tends to focus on dangers that appear on networks or in messages. The attackers may be half a world away, so the threat is the only thing that matters. But what happens when the threat actor is walking through the front door or sitting next to you at an airport coffee shop? Firewall rules and DNSSec can have minimal impact on the thief sliding a company-owned laptop into his backpack and walking out the door. "If we all took our computers, encased them in concrete, and dropped them into the middle of the Atlantic Ocean, nobody would ever steal our data, but it wouldn't matter because our data would be on the bottom of the Atlantic Ocean," says Tim Callan, senior fellow at Sectigo. The challenge, he says, is reconciling physical security with the fact that people need to use their computers and mobile devices for legitimate work. In 2016, Bitglass reported that one in four breaches in the financial services sector were due to lost or stolen devices, while one in five were the result of hacking. 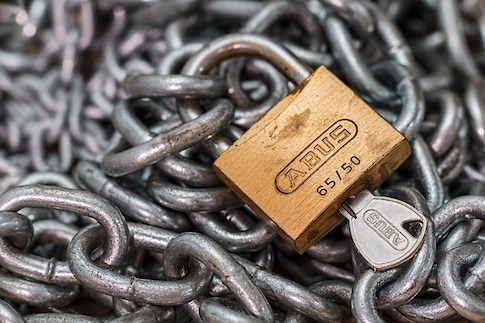 Physical security might not have the glamour of fighting malware writers, but there's no question it's a serious component of any effective data protection program. So what are the physical dangers to enterprise data? Several, but they tend to echo the dangers to any physical assets an organization owns. As a result, some IT security groups leave physical security to the physical-plant security force, but there are both strategic and technical reasons to involve IT security in protecting both the data on systems and the hardware that surrounds those precious bytes. After talking with security professionals, querying the security community via Twitter, and looking at major security incidents from the recent past, we've put together a list of seven threats that definitely deserve attention. Protecting systems from these threats takes a combination of user education, behavior modification, and technology, but remedying the problems themselves can make a huge difference in an organization's risk profile. We track files being written and read on USB drives through an agent connected to our SIEM server (we use Solarwinds LEM, but there are others as well.) We can also monitor machines that have restricted USB access. Last year, my wife - daughter and 3 year old grand-daughter, Cariana, visited my office. She had pizza in the cafeteria, met my colleagues and WHEN LEAVING ..... Cariana pulled all of our security badges, save mine, and said THESE MUST BE RETURNED. She then walked them to the security desk to hand them in. Staff there was delighted!!! Lesson - A THREE YEAR OLD understood perimeter security BETTER than most employees do. We have a domain policy that forces BitLocker to be used before saving data to any usb drive, otherwise its will be read only. I guess my questions is, how do you track or monitor usb activity on our 1500 end clients?